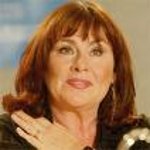 In a recent interview on CBC radio, actress-comedian Mary Walsh spoke about her own reasons for volunteering and for being an advocate for various causes. Nevertheless, there are some causes that she has a personal connection to. As a sufferer of macular degeneration, Walsh is a spokesperson for the Canadian National Institute for the Blind. Before injections to stop macular degeneration and in some cases even to repair the damage became available, she sought a different treatment for herself.